Tims Dairy have won the Family Business of the Year 2017 for the London and South East region. Tims Diary are delighted to have been voted Family Business of the Year 2017 in this year’s awards for the London and South East. Brothers Chris, Peter, Bides and Tony Timotheou are jubilant at having won this top accolade from Family Business United. Created by Paul Andrews the aim of FBU is to champion family businesses and recognise the contribution they make to the country. Tims Dairy was founded 68 years ago, in 1949, by the current family’s uncle, Euripides Nicolaou who was then joined by the current owner’s father Michael Timotheou. Family has always been central to the success of Tims Dairy, from the skill set and experience required to make high quality yogurts to the strong bond needed to build and grow the brand. The brothers are hugely proud of their Greek family heritage too. Family is at the core of their ethos and success and this remains as strong today as it has done from the beginning, and will be the guiding force for growth into the future. 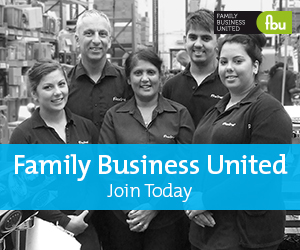 Since being founded in 2011 Family Business United has grown into an award-winning magazine, resource centre and events organisation championing the contribution that family businesses make to the global economy. The Family Business of the Year Awards are a real highlight in the family business calendar. Initial nominations and short-listing in the awards were by public votes received, while the finalists were judged by an expert panel.